Clearing My Skin Part 2: My Hydrafacial Experience With Adara Cosmedics. 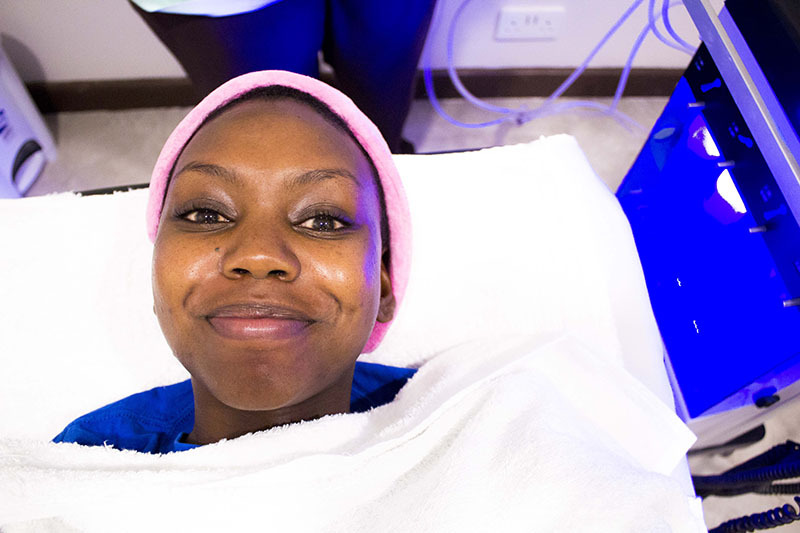 I'm back with part two of my skin care regimen, and this time I speak about a professional skin care treatment that I tried out at a new spa in Nairobi. Some time last year, a good friend of mine and high school bestie, Naito, told me about a new CosMedic Centre that she and three of her friends would be opening that would offer cutting edge skincare services. She spoke of investing in equipment and gadgets that would deliver treatments that I had never heard of before, mentioned laser hair removal and laser acne treatments (of course all I could think of was Star Wars) and threw in words like rejuvenation, resurfacing, renewal and revolutionary, which of course had me like, "Wait what? Lasers?" Now, most times, things that sound too good to be true usually are, and as much as Naito is one of my best and oldest friends who I trust, I wasn’t sure about endorsing something that I hadn’t heard of which sounded kinda simple but at the same time complicated. This doubt was quickly put to rest because, well, Naito is a doctor and along with her partners, one of whom is also a doctor, they were able to alleviate my fears and assure me that they were banking on the real deal. 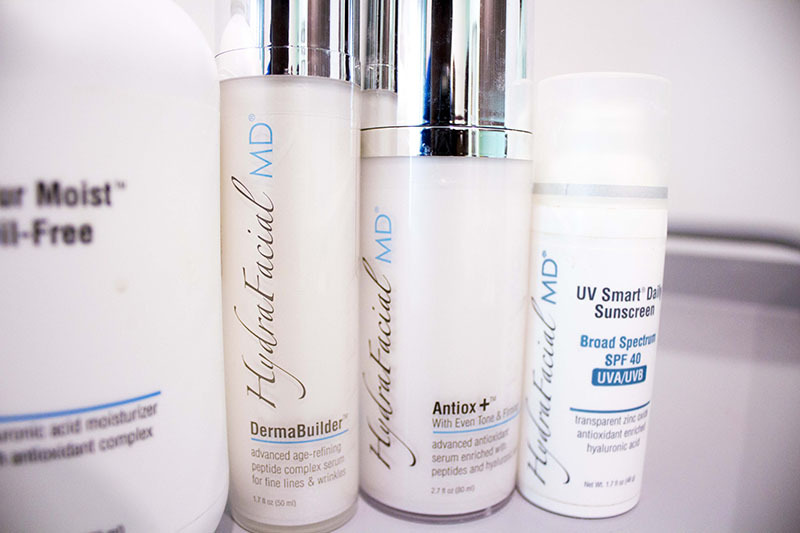 They took me through the steps they went through that helped them made the decision to decide on Hydrafacial MD. They told me about their trips abroad to attend skin care conventions where they were able to conduct actual research and subsequently go through intensive training to find the best procedures, products and practices in skin care. I was sold. The I did some online research of my own and found out that this treatment is endorsed the world over. Check out some of the publications that have featured the treatment here. Also, some known personalities who swear by this include Brittany Snow, Gabrielle Union, Kate Winslet and Beyonce. No need to tell me more. Of course, because I fancy myself a “makmende” of sorts, I was keen to try everything out so we set up a schedule and I waited for the doors to open. The spa is located on the 2nd Floor of The Green House, in Adams Arcade. 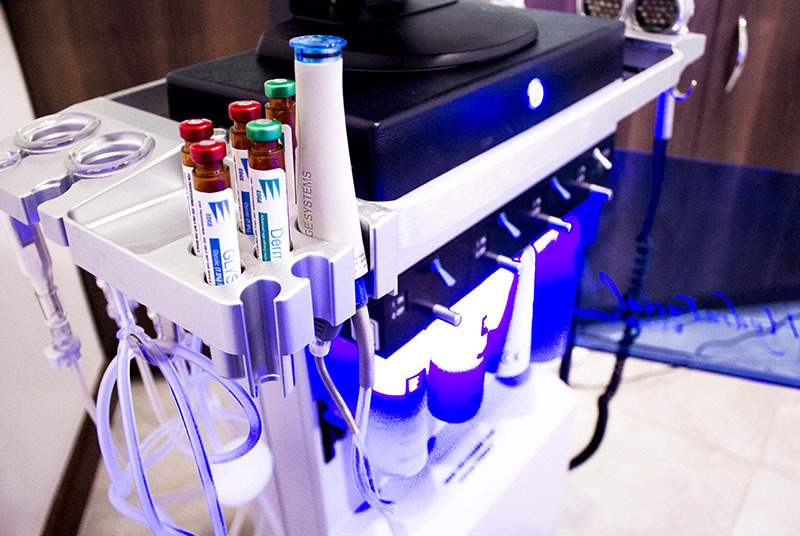 The Hydrafacial MD is a treatment that employs centuries old magic and the strongest of spells to transform your skin into a glowing, radiant light. Training is done at The Hogwarts School of Wizardry and Magic. Ok, I joke. On a serious note though, The Hydrafacial MD is so effective that its results really are close to magical. I'm not playing folks. 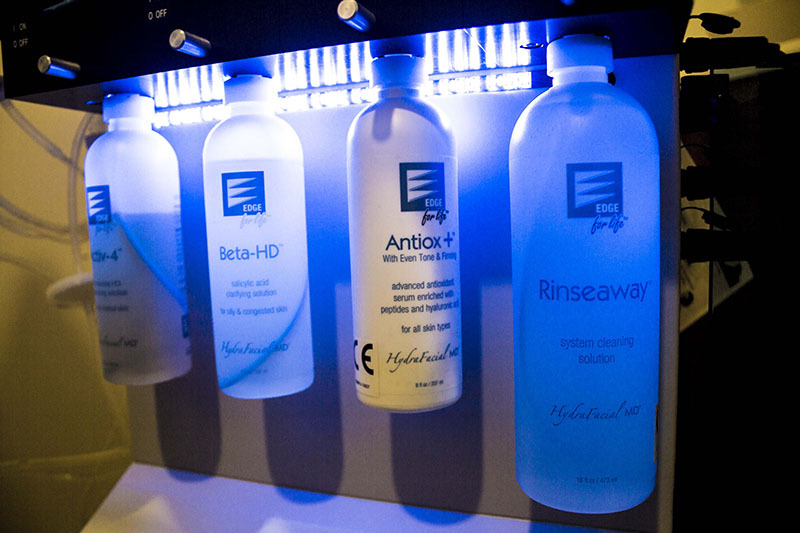 The treatment is based on the premise that hydration is key for good skin (DRINK THAT WATER GUYS), because a loss in cell H2O is a contributing factor to issues such as fine lines, wrinkles, acne, hyperpigmentation, congested pores and uneven skin tone. – Dr. Howard Murad, MD. 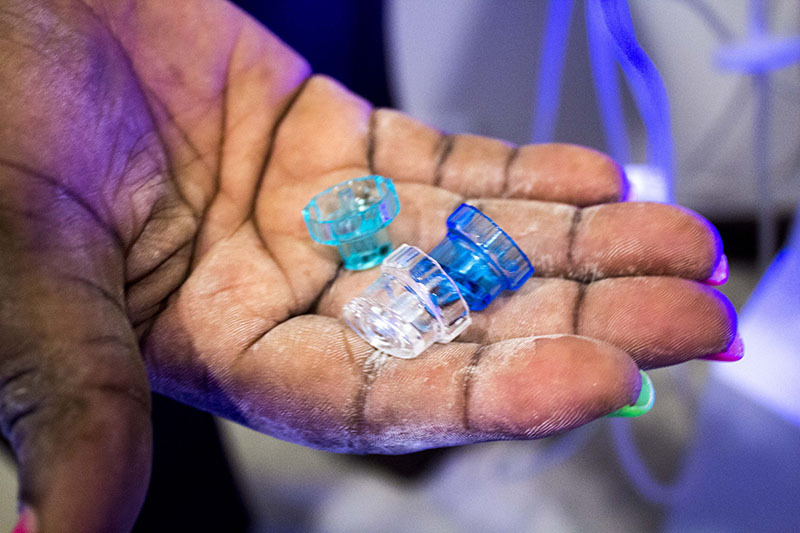 The treatment is broken down into five steps, and is touted as being great for all skin types, complexions, racial profiles and is super gentle. 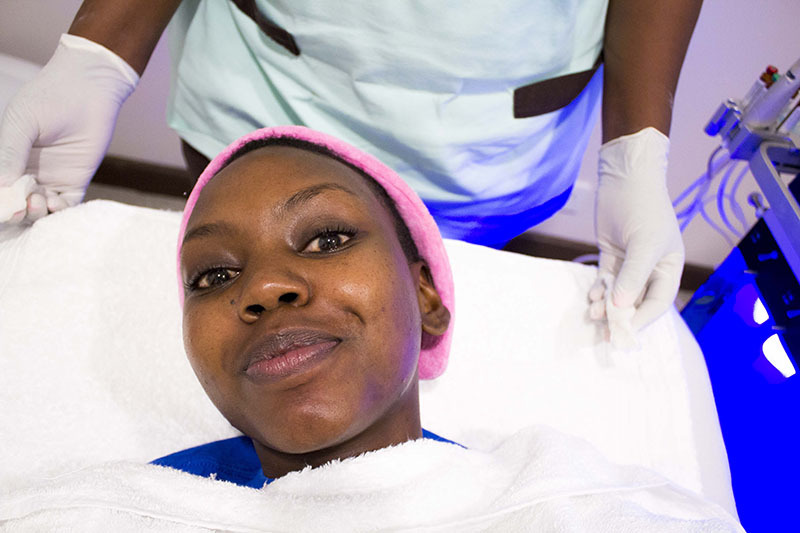 They will first give you a skin consultation to figure out what your skin type is, what your issues are and then exactly what aspects of the treatment to focus on. · Fine Lines and Wrinkles. · Uneven skin Tone and Dullness. · Advanced Signs of Aging. So, excited to experience this wonderful, wondrous treatment, I went in for my first consult about 3 months ago, with my skin looking like this. As you can see I was dealing with scarring from previous break outs, most of which would occur around my jawline and chin area and around the perimeter of my face. (Make up really is my friend and I'd like to take this moment to thank my loyal foundation for always coming through). At this point in time you would NEVER catch me leaving my house without make up. Last year, my skin was ten times worse before I began the home made masks which really helped. I'll talk about those in part 3 of this series of skin care posts. As much as the home made masks had helped immensely, I still had a long way to go to get to where I wanted to be. 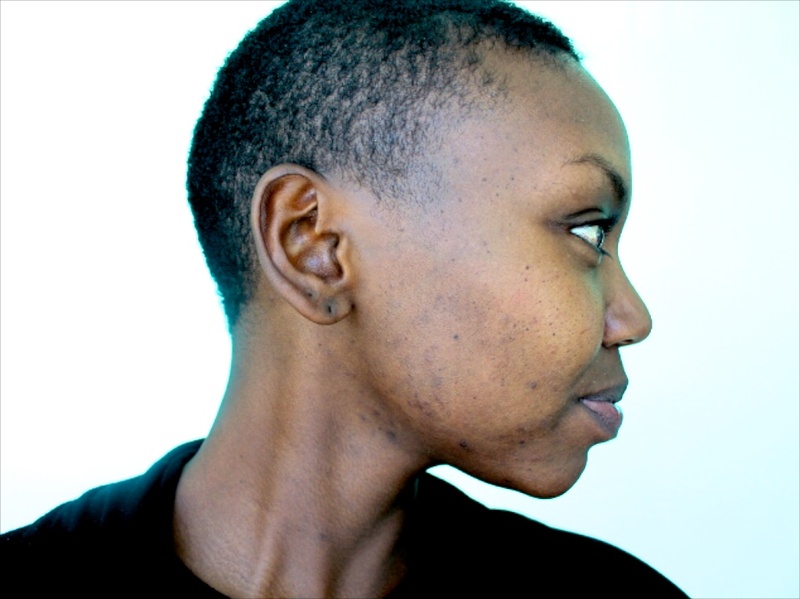 I was still struggling with new breakouts, and the scarring that came with incessant scrubbing and aggravation. My skin texture was also rough and I had some patches of uneven skin as well as some redness. Walking into the treatment room, I was a little intimidated by the machine and the fact that I had to lie on a bed that resembled an operating table. I DO NOT do well with pain (I used to scream like a turkey whenever I would get a wax) and was quite nervous to be honest, but I was instantly put at ease by my therapist, Emmy. She was really sweet and answered all my questions with a smile and a very reassuring quality. She has this wonderful nurturing energy that to be honest, made me want to hug her when we were done. She examined my skin and asked me a couple of questions about what issues I face and then proceeded to punch in some settings into the machine that would be best suited to me. The different serums for the different stages. As you can see, the machine can be a tad intimidating. But I'm gangsta. No fear please. 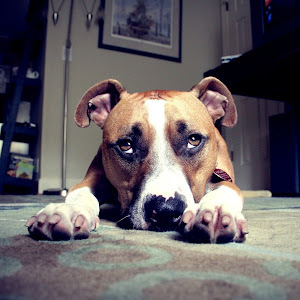 I lay on the table after taking off a couple of items of clothing and getting comfortable. I had on a sweatshirt but the room is quite warm and pleasant so I remained in a tshirt and tights. As soon as she began to rub a cleanser on my face to take off any loose dust or dirt, I started to doze off. It was very, very relaxing. Imagine the most gentle hands expertly massaging your face slowly in circular motions, moving from your temple, to your forehead to your chee.... zzzZZZ. I woke up to the sound and sensation of gentle suction around my face. Emmy explained that this was the first stage of Vortex Exfoliation where the Activ-4™serum was applied using a hydropeel tip. This loosened any dry skin cells, impurities, debris and excess oil. 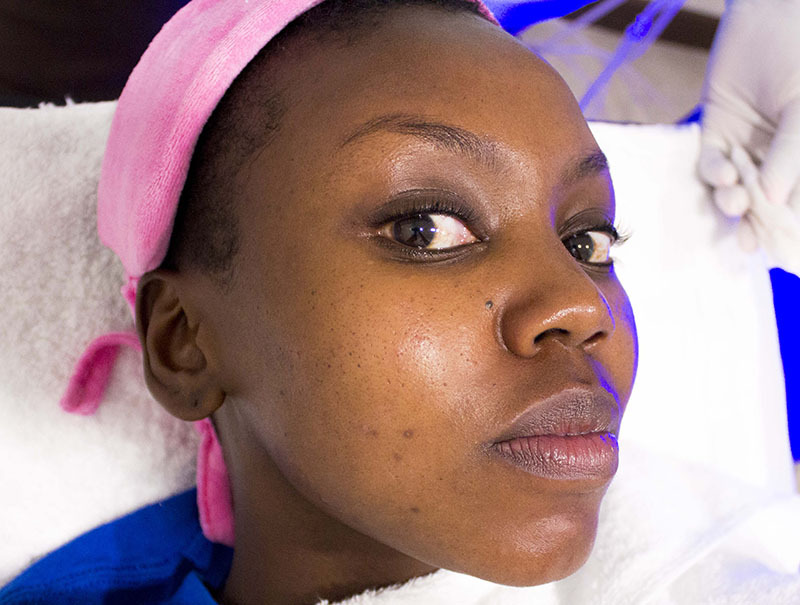 Next, was the Vortex Extraction where suction - instead of the painful pinching or squeezing that is applied during other kinds of facials - was used to clear out my pores. A Beta-HD™serum was infused into my skin at this stage. It contains a honey extract, which hydrates the skin further and kills any bacteria. This serum also includes salicylic acid, which is a known exfoliant that promotes dead skin cell removal. This was actually kinda ticklish. By this point, I could already see a visible improvement in my skin. The shock of how great it looked startled me fully awake and I remembered that I had intended to take pictures. The vast improvement shows that I had lots of dead skin and impurities just piled up, stuck on my face for ages. This procedure promotes what they call resurfacing. Think of it as re-tarmacing a road that was full of potholes or loose rocks. 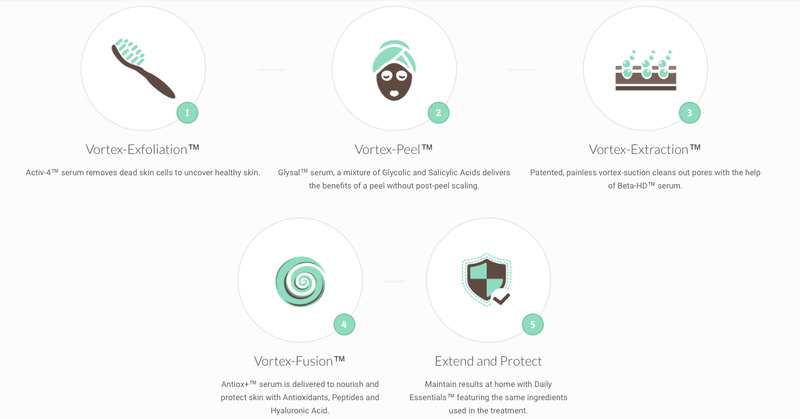 The next step was the Vortex Peel, which is a gentle, chemical peel where a mixture of Glycolic and Salycilic acids is used to remove the top layer of your skin. A chemical peel usually works by lowering the pH of the skin to a 3.8 acidity level which then loosens the materials that glue the dead and damaged cells to the skin, allowing new cells to grow. Chemical peels are usually painful, but this one not harsh at all. It may tingle but it is not painful and does not leave your skin raw or red. Look at the difference after the peel guys. I'm not even playing. The change was so dramatic, I couldn't believe it myself even though I was in the room. 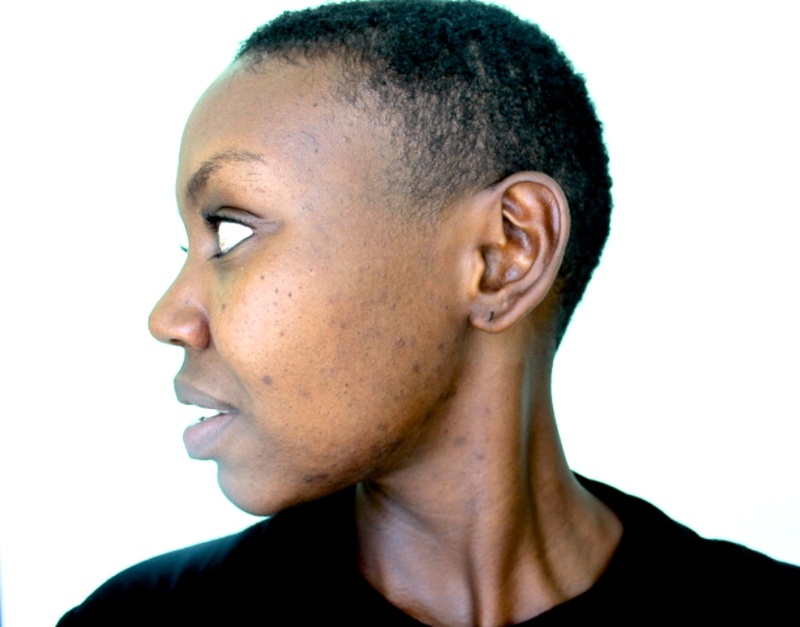 My pores were less significant and my skin was so much smoother and clearer. I felt like my skin could now breathe properly, and I think I may have burst into song. By this point I was pretty convinced there was some juju going on because I honestly felt as though I looked like a brand new, younger person. The step that followed was the Vortex Fusion, where an Antiox+™ serum was infused into my skin to nourish and protect my skin with Antioxidants, Peptides and Hyaluronic Acid. This serum is designed to counteract any damage brought about by environmental factors, as well as to deeply moisturize the skin. A Lymphatic Drainage massage was performed on my face afterwards but I was still too engrossed in how great my skin looked and again I forgot to take more pictures. This step detoxifies the skin while improving circulation, as well as toning and firming the skin. The LED light therapy followed. 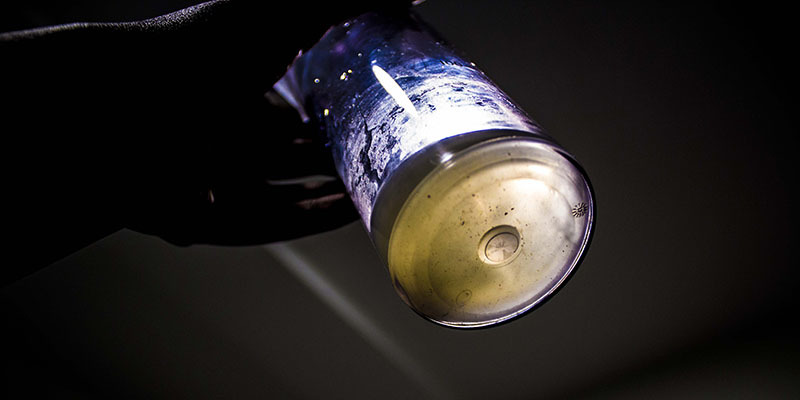 How this works is that LED light wands, all of different wavelengths and functions are pressed onto your skin. Amber/Orange is said to build new collagen and elastin, Red is said to reduce inflammation and promote circulation, Blue is said to destroy acne-causing bacteria and Infrared is said to accelerate skin recovery. 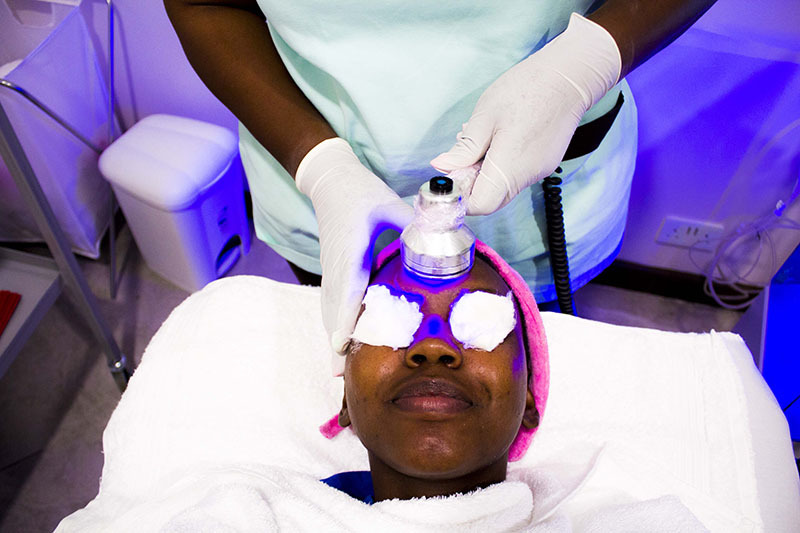 Depending on what your skin needs, the therapist will determine what colour/s to administer. After this, I could see a further difference in my skin. It's the gift that keeps on giving. I could see that my skin looked brighter, and more vibrant. I don't even know any more guys. This all happened within the space of an hour. I also got to see all the gunk that was extracted and sloughed off of my skin. Pretty gross, but it did give me some insight into just how much dirt and dead skin cells can sit on our faces without our noticing, clogging pores and resulting in acne and uneven skin tone. Another thing to take note of is that all the tips used for all the steps are used only once per person and then disposed of. Nothing is recycled or shared amongst clients. 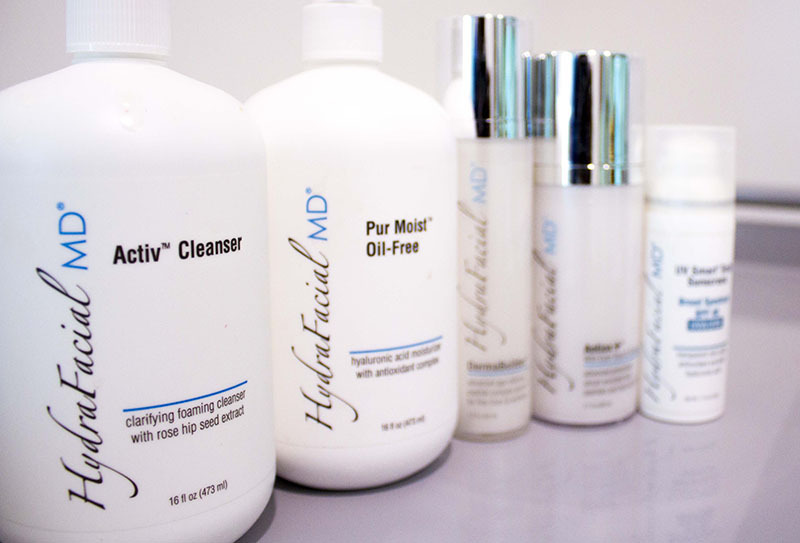 Last but not least, there are Hydrafacial products that you can purchase to use at home to maintain your results. The Daily Essentials™ line of products feature the same ingredients used in the treatment. They are however optional and not compulsory to use. 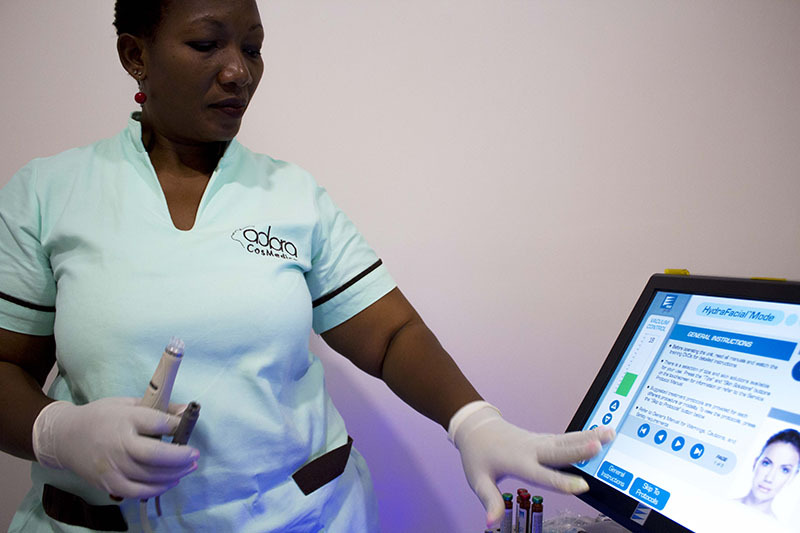 One treatment costs 15,000/- and it is recommended that you can only do ONE treatment every four weeks. I've done just two over the last three months and I am very, very pleased with the results. What do you think of my results and would you try the Hydrafacial MD treatment? 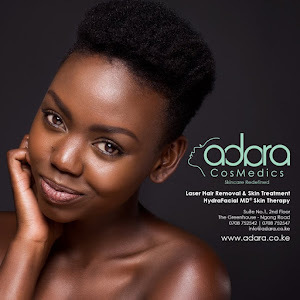 If you would like to try it, you can check out the Adara Cosmedics website for more information about the spa as well as other services that they offer. Find them on Instagram, Twitter and Facebook. You can also contact them here. Looking absolutely lovely Patricia. Good work Naito! I'll spread the word. Thank you Caroline! :-) Have a lovely day! 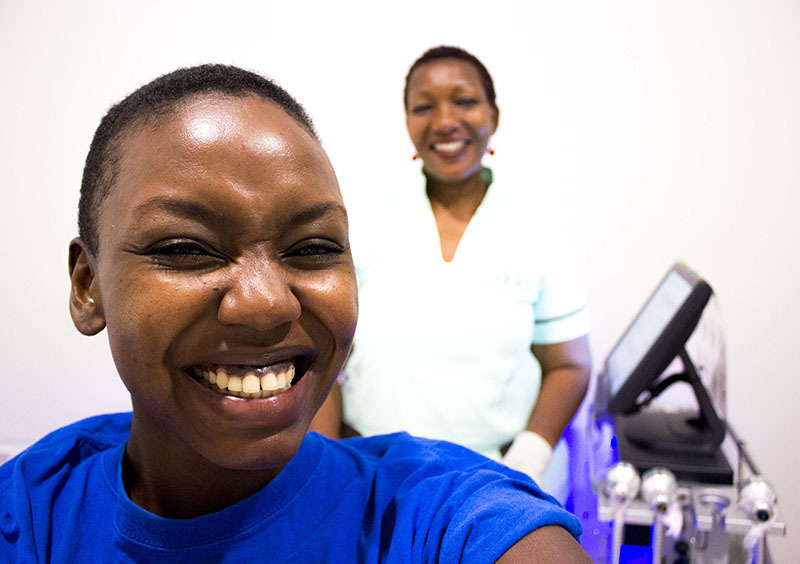 Hi Elsie, as I mentioned towards the tail end of the post, the treatment costs 15,000/- for a session. How many sessions would it take for the acne scars to clear completely? I think it really would depend on what your skin condition is at the moment. I've only done two so far and haven't had to go back! :-) My skin is doing so good. 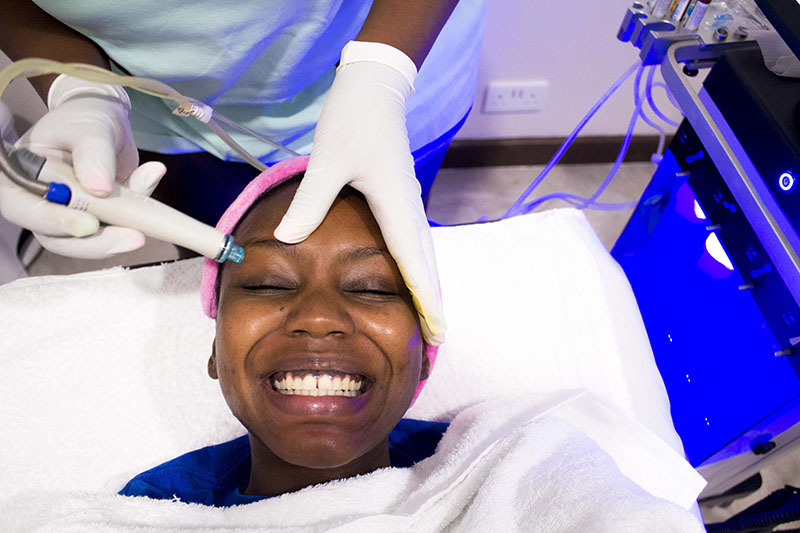 The best place to get Botox, Filler, and Hydrafacial in Toronto, this clinic with professional staff is the best place for getting your youth back! 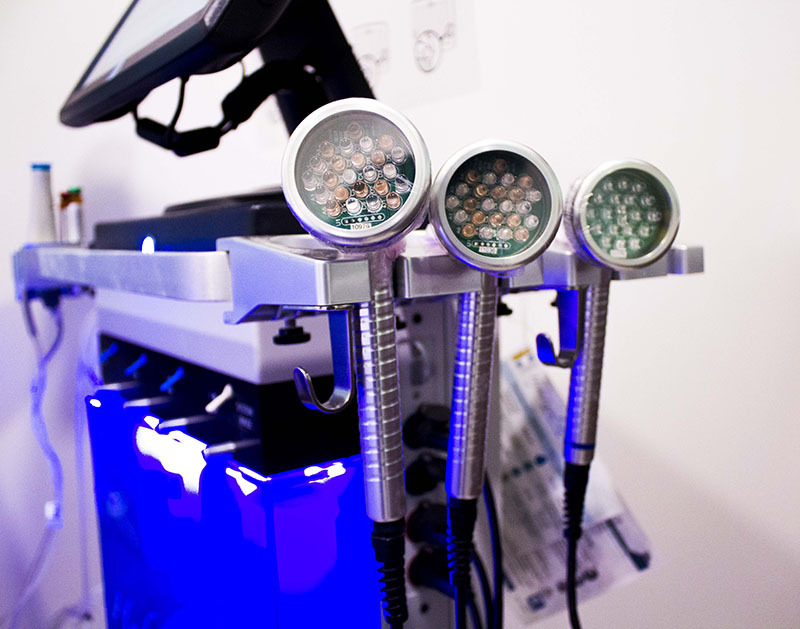 If you are looking for Toronto Hydrafacial, just call Marco and book an appointment and look younger! This is the best i have come across. Wish i knew about it earlier. Are they in Mozambique as well? Must visit! My facial skin is completely dead! Thanks Pat.. You look amazing. I'm Patricia, A singer, actress, radio presenter and girl about town. Make yourself at home. 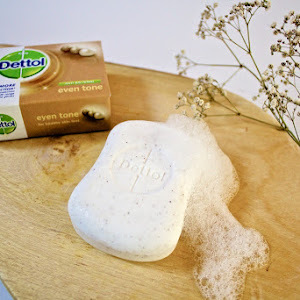 Clearing My Skin Part 1: Cleansing, Exfoliating and Toning. I Quit The Gym But Still Lost Weight - Here's How. Spending my savings – The smart way. 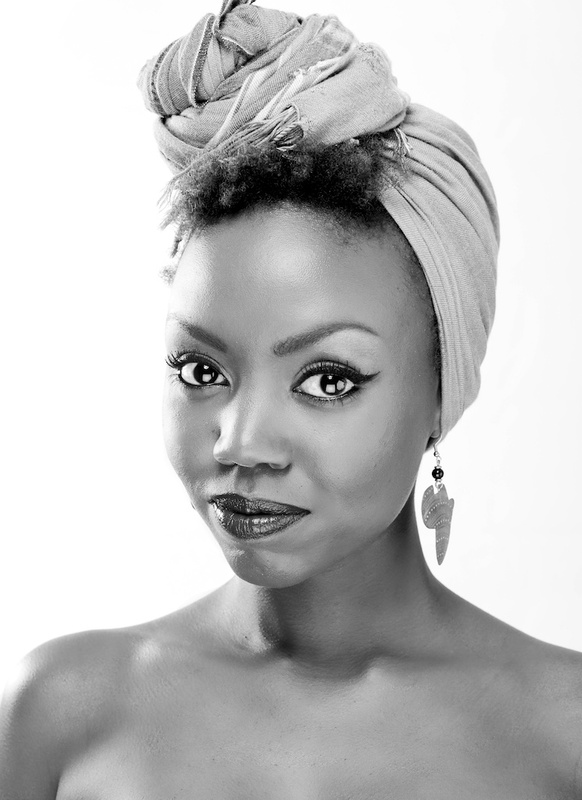 © Patricia Kihoro. Design by FCD.